Readers, I have a delight-ful giveaway for you, courtesy of Delight Worthyn. 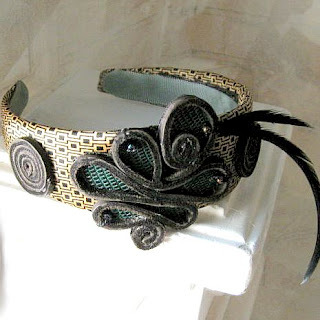 Delight is a talented, self taught artist, seamstress and milliner. 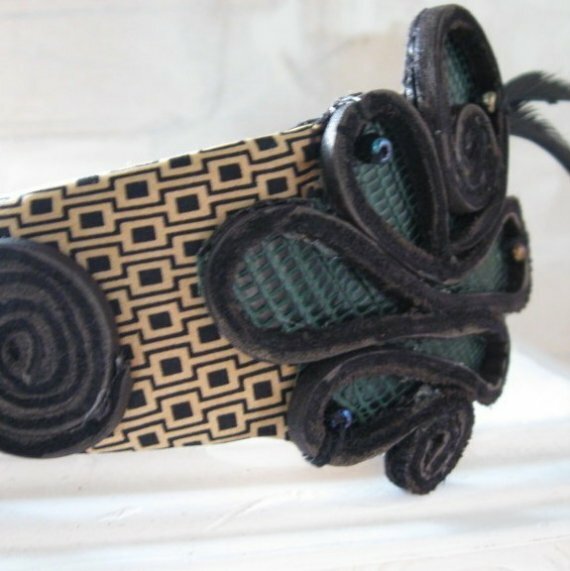 Her work has been featured in Altered Couture Magazine and Haute Handbag Magazine as well as shown in many galleries around the United States. She creates wearable art in refashioned vintage style. You know how I love to recycle neckties, well Delight does too. This giveaway is for her Leather and Silk Fascinator, made from recycled silk fabric (once a necktie), with recycled leather scrolls. Each activity above counts for one entry into the competition. The more you do, the more chances you have to win the competition. National and international readers are all welcome to participate in the competition. Winner to be announced two weeks from today. 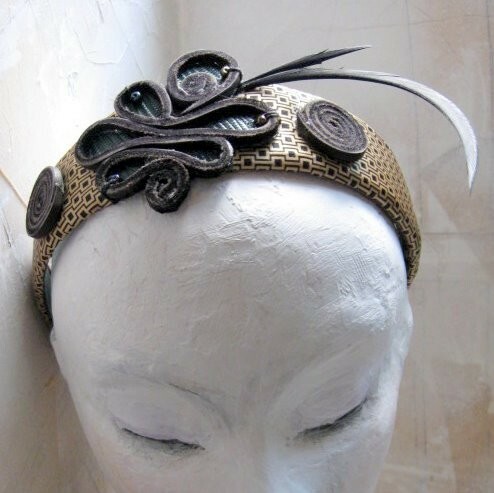 I would also encourage you to browse through Delight's Eco Couture Millinery shop, with a selection of wonderful headpieces made with recycled materials. 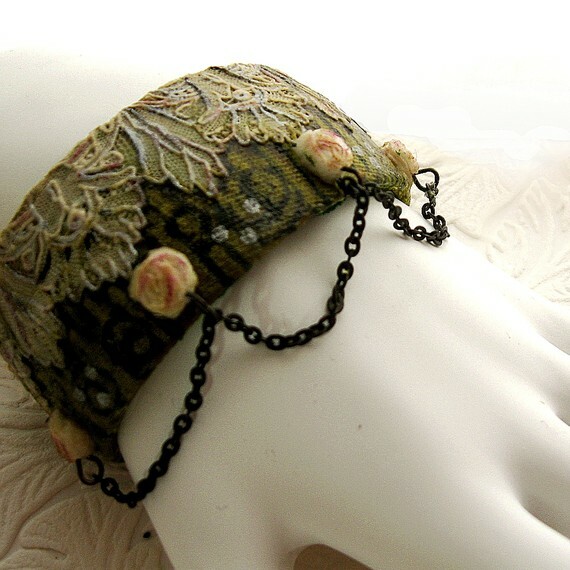 An open backed adjustable cuff,hand painted recycled fabric over brass domed cuff 1 1/4" wide.All of the pieces have been painted,stiffened assembled and lacquered.This cuff feels like leather but is made from cotton and silk in shades of cream and green.Antiqued brass chain kisses the top of your hand.The lace is Victorian era. I like the cuff , very creative ! Stunning work!!! I love her pieces! What else to be said? I didn't came back as soon as I said I would... Sorry hun!! I got side tracked with my quilt hehe... I FB it although you know that already hehe.